About Virginia Hamilton (Foreword) : Virginia Hamilton is a published author of children's books and young adult books. Some of the published credits of Virginia Hamilton include House of Dies Drear, The Planet of Junior Brown. 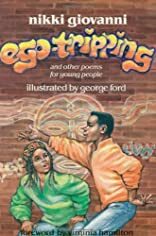 About George Cephas Ford (Illustrator) : George Cephas Ford is a published author and an illustrator of children's books. Some of the published credits of George Cephas Ford include Bright Eyes, Brown Skin.